Do you think you know all the great sports records, from football to hockey? Do you know who was the NHL's youngest scoring champ? What about who was the first European-born player to be named MVP of the NBA finals? 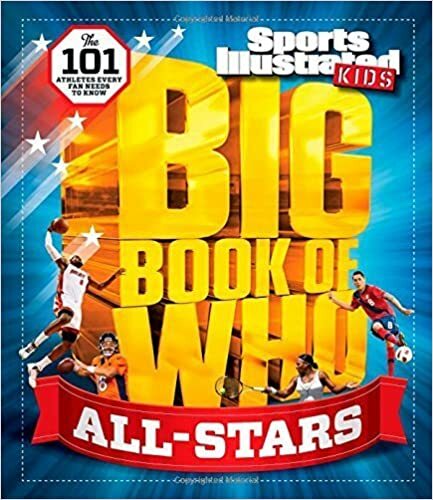 Prepare to quiz yourself, stump your friends, and even learn something new about your favorite sports in this newest offering from the Sports Illustrated Kids Big Book of Who series. To make it easier to find the stats, sports figures and facts you want to know about, the book is divided by sport. Those included are: baseball, basketball, football, golf, hockey, Olympics, racing, soccer, tennis and Xtreme. There is also a ‘player index’ in the back so you can look up your favorite players quickly. With a reading level of third grade/age 8 and up, this book is well suited for the young sports fan. Quill says: Fun! Fun! Fun! Every young sports fan should have a copy of this book!